Greetings, and welcome, at long last, to the Backer Beta! We appreciate all the support our backers have given us on the long road that started with our Kickstarter campaign. Now it's time to take a look at what we've been working on, shake it up, and see how things can be improved. Before you dive in, I'd like to talk a bit about the nuts and bolts of the Backer Beta, what content is available, what you won't be seeing, things we're most interested in hearing feedback on, and known issues. The Backer Beta is initially being released only through Steam and only for the Windows platform. We are working hard on bringing Mac and Linux to you guys in the next few weeks. Note that if you are concerned about linking the Backer Beta to the final product, you need not worry -- the Backer Beta is considered a separate product. If you want to participate in the Backer Beta, your final product will not be locked into Steam or Windows. The first release of the Backer Beta is the build we have put together for the Gamescom convention in Cologne, Germany. What you will be initially playing is what we are showing there. We plan to update the Backer Beta over time to test performance improvements, bug fixes, balance passes, and other changes we'd appreciate your feedback on. There are no NDAs for those who are participating in the Backer Beta. If you want to share images, videos, or general feedback on content with the public, we appreciate your thoughts and criticism. To keep up to date on the latest announcements and information on the Backer Beta head over to our Pillars of Eternity Backer Beta announcements forum. If you have purchased the Backer Beta or if it is included in your Kickstarter tier (all tiers of $110.00 or above) you can now head over to your Account Profile to redeem your Backer Beta Steam key. On the account page, you will want to click the link on the left that reads "Products." This tab displays all of the products you have associated with your account that are now available. As we release additional rewards, they will appear here. 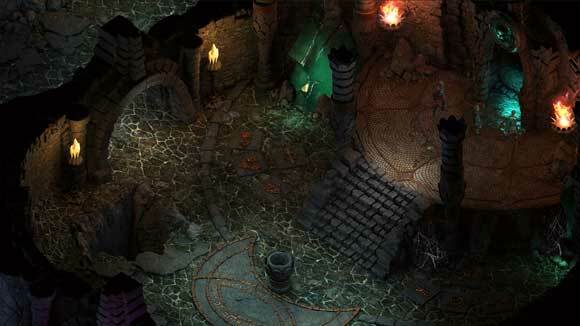 Click on the "Pillars of Eternity - Backer Beta" entry to expand the entry. You will be asked to confirm that you would like to generate a key for the Beta. If you wish to generate a key at that time, press the "Generate Key" button. If you generate a key, you should see a banner at the top of the tab that confirms your success. Expand the "Pillars of Eternity - Backer Beta" entry again and you should see your key with instructions in how to install it on Steam. Enjoy your first experience in the world of Eora! The content of the Backer Beta encapsulates the village of Dyrford and surrounding wilderness and dungeon environments. You will begin by choosing basic difficulty settings (Easy, Normal, Hard, or Path of the Damned), optional modes (Expert and Trial or Iron), and building your character. In the Backer Beta, you have access to all character races and subraces, all classes, and all starting cultures and backgrounds. You build a character at 1st level, but you will start the game with enough experience to advance to 5th. While we have very few Talents in the Backer Beta, you should be able to get a very good idea of the core functionality of all eleven classes. It is extremely important to us that the fundamentals of each class feel solid before we implement more Talents or move Abilities around. In addition to the character you make, you will start with a list of four pre-made, intentionally (extremely) generic party members: BB Fighter, BB Rogue, BB Priest, and BB Wizard. The characters are lightly equipped with Fine (quality) gear and set to level 5. None of these characters are companions in the full game and they are under-equipped in terms of overall gear (rings, cloaks, booties, consumables, etc.). The quests available in the Backer Beta have an artificially-inflated amount of experience points associated with them to ensure you can advance from 5th to 8th level assuming you do everything offered. We want you to advance your characters significantly within the Backer Beta so you get a sense of how the different classes change from level to level. Crafting and Enchanting - Crafting allows you to make consumables (food, potions, and scrolls). Enchanting allows you to modify weapons, armor, and shields. Even unique items can have additional effects added. Hiring Adventurers - If you speak with Dengler at the Dracogen Inn, you can ask to hire adventurers, allowing you to make additional party members. Camping Supplies and Inns - Pillars of Eternity primarily uses a resource-based rest system. While "in the field", you can rest using a limited number of Camping Supplies (the number in the corner of the campfire icon near the center/bottom of the main HUD). The number of supplies you can carry is limited by your level of difficulty. However, you may also choose to rest at the Dracogen Inn. Resting in the stables is cheap but provides no additional benefit. The more expensive rooms provide the party with long-term benefits in the form of buffs. 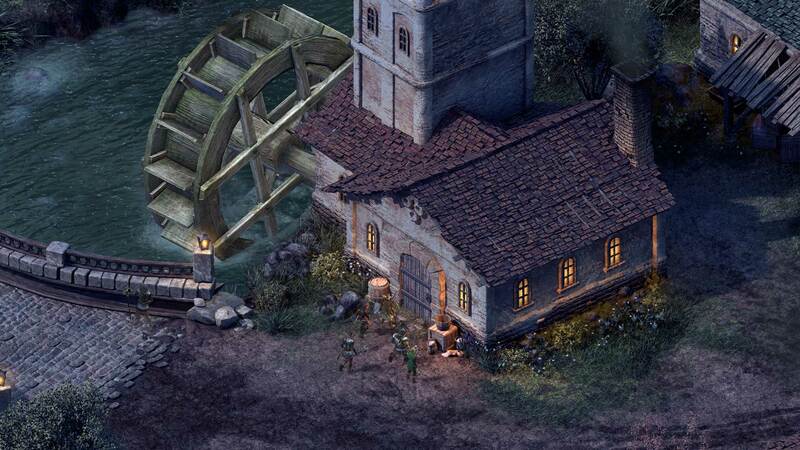 First, nothing in the Backer Beta has a direct connection to the critical path/main story of Pillars of Eternity. We have intentionally excluded any spoiler content so our backers can play the beta worry-free. None of the quests are connected to the crit path and none of the pre-made companions are going to be in the final game. Second, the stronghold mechanics aren't in the Backer Beta. The stronghold includes a lot of additional maps, characters, and content, some of which are part of the critical path. Including them would have been difficult and the scope would have increased a great deal. Finally, no content above 8th level is in the Backer Beta. If some bits and pieces wind up in the Backer Beta data, they have not been a focus for us at all. You may, through the magic of h4x, find a way to access them, but they are out of scope for these tests. If you would like to discuss the Backer Beta or give any feedback, we invite you to head over to the Pillars of Eternity Backer Beta Discussion forum. As backers who have elected to participate in the Backer Beta, you are almost assuredly among the most passionate and detail-oriented people who will eventually play Pillars of Eternity. As such, we, the developers, fully expect that you will have very strong positive and negative opinions about many of the things you see in the Backer Beta. While you should not hold back in your opinions on a given feature or piece of content, please try to focus on constructive criticism that we can use to make the game better. It's useful to know if you don't like something, but it's more useful to know what types of changes would make you like it more. Pillars of Eternity has been in its beta stage for a while, but it's a big game with a lot of systems and a lot of content. As we fix things, we often break other things inadvertently. There are also things we realized we needed after beta started and have had to address. And of course, thousands of backers are going to see combinations of classes, races, and equipment that we may not have tested internally. Even so, we do have a list of known issues in the Backer Beta. These issues range from minor to major but we wanted to let you know we are already working on solutions to them. 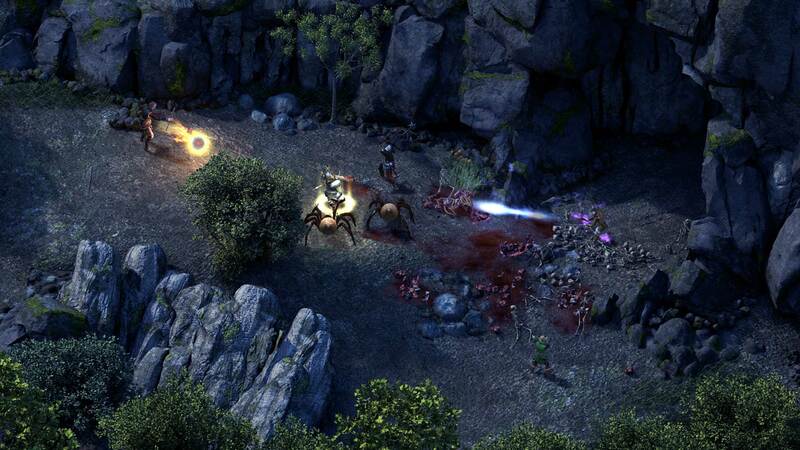 If you find any issues, please report them on the Pillars of Eternity Backer Beta Bug forum. Please do not contact Support for bugs or technical issues - use the indicated forum. Support will be handling problems with accounts or Backers that are unable to access their beta. Pathfinding - We are in the middle of revising the pathfinding system. In the Backer Beta at launch, you may see issues with characters jittering, getting stuck, getting "bottlenecked" between other characters, and overlapping their selection circles with other characters in combat. Sliding - You may notice characters sliding in various situations, where their movement does not match their animation. This is a known issue. AI - Some characters (including party members) may not respond to a command. Alternately, they may become stuck in an attack or reload loop. We've also found that our initial batch of instruction sets for enemy AIs need additional functionality and parameters that we decided to continue implementing during beta. Selection Feedback - We are also working on the feedback you receive when selecting characters and actions for them to perform. It's important to us that the feedback is clear and immediate. Stat Blocks - Many spells, abilities, and items are not yet programmatically displaying all relevant information about them. We are in the process of adding that information to all appropriate interfaces. Attribute Balance - Testers have reported that Perception and Resolve are less compelling for their character builds than Might, Constitution, Dexterity, and Intellect. We are discussing different solutions for this. Stamina and Health are Unintuitive - We have consistently found with players and testers that the stamina and health system are unintuitive as presented in game. However, we have also consistently found that, once explained and understood, the system was well-received by the people who used it. We are working on solutions to this disconnect. Rangers are Buggy - The unique shared stamina/health of rangers and their animal companions has been a tricky system to implement and we are aware that their mechanics have a bunch of issues. Chanters are Overpowered - Yes, they are. They'll be dialed back a bit, but in the meantime, enjoy playing a game where the bard-type class is king. UI - Our UI is still being polished and fully implemented. Things like our death screen, stealth UI, and the engagement UI, are all being implemented or tweaked. Abilities and Spells are Buggy - We are working through all of our abilities, but you may find certain spells and abilities that are not working as they are described. Some Missing Assets - There are some pieces of the game that are still being implemented - like VFX, Audio, and Icons. You may notice that some assets are either missing or are temporary. Fog of War Working Incorrectly - The Fog of War is not currently blocking line of sight. Optimizations - We have not fully optimized the game yet. You may notice that load times and performance still need to be improved. Save and Load - We are still working through many save and load issues. Passive and modal abilities can sometimes double on a character after they are loaded. Also, the Continue option is still being worked on. 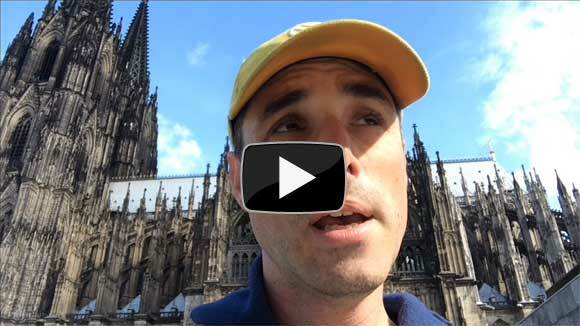 It is best to use the Load Game feature instead of the Continue feature. Again, thank you all for everything you have done to make Pillars of Eternity possible and thank you for participating in our Backer Beta! 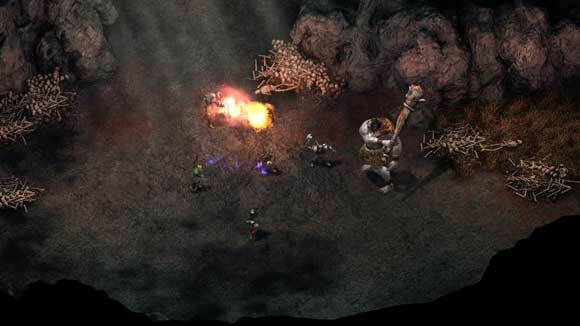 With your help, we can improve on Pillars of Eternity and make the final product as fun as it can be. Awesome. Can't wait to play it, Well, actually I have to wait to get my game setup. Stuck on the steam part. I Generated my key, and then it asks me to install Steam. But... I already have steam installed. Finding no other way to proceed (since its not showing up in Steam's Games tab) I clicked on "install steam". And....It won't let me. Since I already have steam installed. I believe this should be sticked in a thread in the Bugs and Support sub-forum: "Known Issues". Once you get into Steam, go to the Games menu at the top. You will see an option to "Activate a Product on Steam." Click this and enter your code. This should allow you to download the beta. Not a bad idea. I will add that in a bit. Thanks for the suggestion. "Activate a product on Steam" is not showing up on the Games menu. Are we allowed to give away the Beta key? i don't have Steam. Yup. It's your key and you can do whatever you like with it. You are not seeing this menu option? Do you see the "Steam" button in the upper right left corner of the client Stun? Follow that horizontal line to the right with your eyes and you'll see a "Games" Menu button. That's where the option is supposed to be at least. Ooh! found it! Thanks guys! It's downloading now. being what this game is, I'm not gonna get into the whole charging for the beta key thing. I hope that you guys decide to include a considerable portion of the game though because from what I heard, its really really conservative, especially when compared to Divinity:Original Sin and Wasteland 2. BTW, I'm talking about the Betas, just making it clear before someone unwillingly ends up comparing the alphas of those games to this beta. Good luck to you guys, hopefully this game will come out as soon as possible and I really hope this game won't be another one that'll end up getting pushed back to 2015! Aw... that's a rather big disappointment after making such an exiting announcement. You release a Backer Beta that excludes most of your backers from using it? Is there much point in testing various difficulty settings, at this point? Seems like if the baseline is still being tweaked, the difficulty adjustments are not going to be very accurate at all at the moment. So far I am having fun in the beta, the art design is gorgeous, the combat is fun and its very immersive. I like the audio to, the music and the background sounds. Nice, more youtube content to watch. At this phase I'm more prone to see already condensed content than actually play the entirety of the half-done game. Under Products, I have "No products available... yet!"